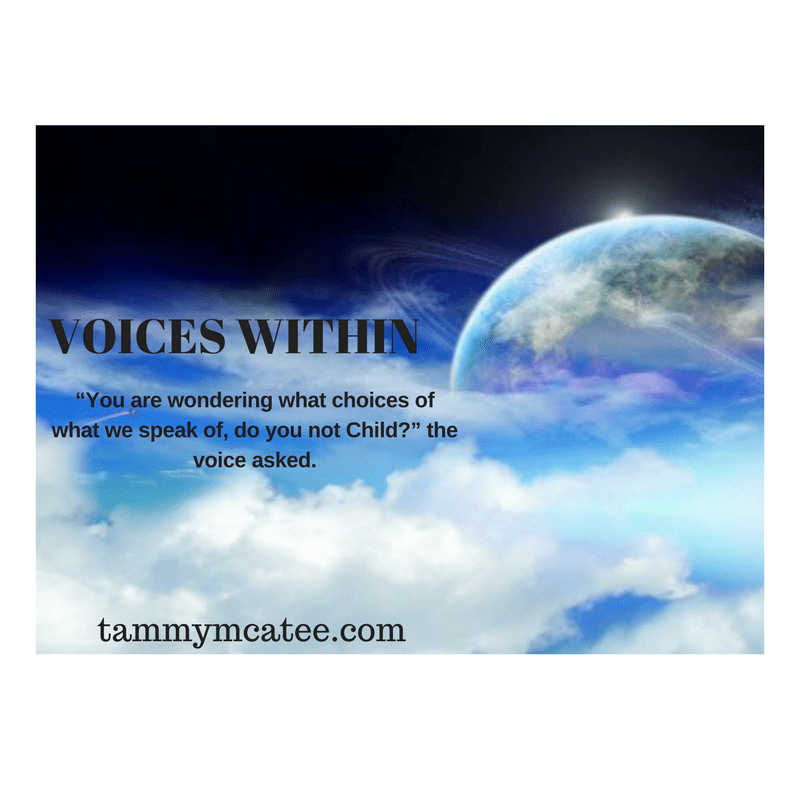 Voices Within - An inspirational Novel - Excerpt #25 - Author Tammy McAtee of "Voices Within"Author Tammy McAtee of "Voices Within"
Silence, cold and still is my only answer. Panic welled inside me and for a brief moment, I felt trapped, imprisoned within my very being. My heart pounded fiercely within the confines of its encasing.